Get 100 business cards for as little as $15! To follow up on the article in the January/February 2008 issue on "Making a Pitch To Subcontracting Firms," I am conducting a subcontracting survey. I sent an e-mail to all active subscribers today with the link to the survey. 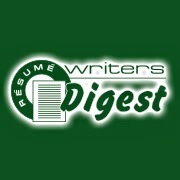 If you have NOT yet signed up to receive your free subscription to Resume Writers' Digest, use the form in the upper right hand corner of the blog. The survey will remain open until March 31. I hope to make the Thursday survey a regular feature, and will report the results on the blog. I will also publish the survey results in the Making Money as a Resume Subcontractor Special Report. More than 1,000 adults between the ages of 21 and 28 were polled for the project. Robert Half International is also offering a free webinar, "Driving Change in Recruitment" about their Gen Y study on Thursday, Feb. 28 at 11 a.m. Pacific Time (2 p.m. Eastern Time). Register here. "The Gen Y professionals we surveyed were focused on practical concerns, such as saving enough money for retirement and being able to balance work and family obligations," said Reesa Staten, senior vice president and director of workplace research for Robert Half International. "These basic quality-of-life needs are common among all demographics in the workplace." Can Your Clients Get Paid to Interview? I saw this article on About.com about a site called "NotchUp" that offers a unique twist in the employment search process. Instead of searching for employers online and submitting your resume to apply for a job, job seekers can create a profile on NotchUp and set an interview price. Participating employers (including Google, Yahoo, and Baraccuda) pay candidates to interview. The goals are to save money for companies and earn money for candidates, as well as saving them job search time, because companies will be approaching you rather than the other way around. In theory, it's cheaper for a company to pay for a candidate's time than it is to pay a recruiter or post on a job site. There are some checks and balances, so that candidates can't just interview for the sake of making money. Companies can rate candidates and you won't get paid if you're a no-show or late, aren't serious, or lied in your profile. Candidates must be referred to NotchUp to participate. Wonder about how to justify your prices to clients? Put it in terms they understand -- and blog about it to draw their attention to the issue while you build your credibility. For example, I'm researching Nebraska's unemployment benefits for an upcoming Resume Writers' Digest Special Report. In conducting my research, I found some interesting information that is extremely relevant to prospective clients. Many people think that unemployment benefits will keep them afloat if they are out of work. But the reality is, unemployment benefits are a safety net -- and there are quite a few holes in that net. Using information culled from about 15 minutes of research, I wrote a blog post on Nebraska Unemployment Benefits that is sure to open the eyes of more than a few prospective clients. I could use the same information in a news release I send to the local paper. In his 80th year of life, the famous English sculptor Henry Moore was asked a fascinating question by literary critic Donald Hall. "Now that you are 80, you must know the secret of life. What is it?" Moore paused ever so slightly, with just enough time to smile before answering. "The secret of life," he mused, "is to have a task, something you do your entire life, something you bring everything to, every minute of the day for your whole life. And the most important thing is: It must be something you cannot possibly do." The sculptor's remarks represent a nicely packaged theory of a productive life: Throw yourself into something big that you believe in. Dedicate your life's work to it. And make damn sure it's ambitious enough to stretch you to the limits. Our “average” resume writer has been to a professional association conference before. There was one that was only a couple hours away, so she decided to go when she found a $49 one-way Southwest Airlines fare. It was a good experience. The opening reception was lots of fun, and she met a lot of new people … including some names she recognized from the association’s email list. The first day’s morning sessions were very good – the first one was really relevant – it was on a resume writing topic, she recalls … but the second session was on something she wasn’t really interested in. Lunch went well – the food was pretty good, and she sat by a couple of people she met the night before. After lunch, she decided to check her voice mail messages, an discovered one of her clients needed a change to his cover letter. Fortunately, she had brought along her laptop, so she went back to her room and made the change and sent off the file. She’d missed the first after-lunch session (it was on using Microsoft Word), but she made it for the next one, on pricing your services. A great session by Susan Britton Whitcomb on resume writing strategies rounded out the day. That night, she joined in the scheduled activity, a dinner at a famous local restaurant, followed by a show. She hung out in the hotel lobby afterwards, talking to some fellow resume writers until nearly 1 a.m., then called it a night. Morning dawned too early. She slept in a bit and missed breakfast. The first session of the day was something about websites, and she already has one, so she went next door to Burger King and had a Croissanwich and coffee. She got back in time for the last morning session, on organization, time management, and client management strategies. She picked up a few tips she vowed to put into practice when she got back home. Lunch again – sitting with her new group of friends. They decided it was too beautiful of a day to spend inside … so they skipped out of the Friday afternoon sessions to head out to the beach that was just a few blocks away, and then dinner at a restaurant just off the ocean. Saturday morning dawned, with a continental breakfast (the same food choices as Thursday, she noticed), and the first session of the day on interview coaching techniques. Very interesting! The second session was on conducting career assessments. A couple of people left mid-way through, though, collecting the suitcases they had stashed at the back of the room. The conference ended at 1 p.m., but she had a 1:30 p.m. flight, and in this post-9/11 world, that meant getting to the airport by 12:15. She’d have to duck out of the last session herself, leaving before the closing banquet. Sitting on the plane on the way back home, she paused to reflect on the trip. She met a couple of new friends, picked up some new tricks, and got a nice tan. Her total expenses were only about $1100, including the conference registration, hotel, plane fare, meals and drinks. Not bad. She’d do it again, if the conference were somewhere fun, and the sessions looked interesting. Speaking of marketing and public relations support, our “average” resume writer has a couple of thoughts on the process. She’s been in the Yellow Pages for years, but her ad isn’t as big anymore. That’s because the kinds of calls she gets as a result of the ad aren’t as good as they used to be … there seems to be more price-shoppers and tire-kickers than before. Her Yellow Pages rep keeps trying to sell her an upgrade to an “enhanced” online listing, but she’s not convinced by the numbers he’s throwing out. She’d like to build her network, but who has the time? She’s sure there are some groups out there she could speak to and possibly get some business out of, but has no idea where to start the contact process. She did one speech last year to a Kiwanis group, but it seemed to be a lot of self-employed folks (insurance agents, doctors, lawyers) and she didn’t get any new clients from it. She’s heard PR (public relations) can be a good way to increase her profile with prospective clients, but when she sent out a news release last year, they didn’t print it – but she did get a call from someone in the newspaper’s advertising sales department, wondering if she’d like to run an ad. 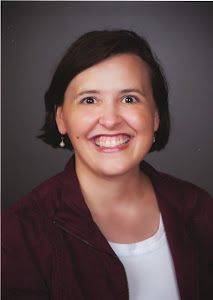 Come to think of it, though, they did run a short item in the “Business Profiles” section of the paper when she got her CEIP certification, and while her neighbors noticed it, none of the prospects who called in the next few weeks mentioned it. There was also the call from the reporter on her voice mail message after she got back from a four-day weekend, but when she called him back, he said the story he was interviewing for had already run. One of her biggest challenges (after generating leads) is converting prospects into customers. When people call on the phone, they seem really interested, until she tells them the price. Some of them do decide to buy, but a lot of them say they are just starting the process and aren’t ready to buy yet. She thanks them and tells them to call her back when they’re ready to get started (but she usually doesn’t get their e-mail address or phone numbers). If she does get their e-mail address, she sends them information about her services, and some of those people end up calling her back to engage her services. But she’s tired of justifying her prices to people who call her, so she per her prices up on the website and created a PayPal link so people can just order online instead of calling to ask her how much she charges. No one has ordered using the link yet, but she just put it up a few months ago, so it’s still new. Having been in business for a number of years, our “average” resume writer has worked with thousands of clients – yet she doesn’t have a formal strategy for client retention and reactivation. Heck, she doesn’t even have an updated database of clients. She’d like to create a program to tap into those clients – like a $8/month continuity service that provides an annual update, an online archive of the client’s documents, access to job search information, and a discount on related services (like background checks, salary reports, and resume distribution services)… but it’s not something she wants to develop or administer. She’d also like some marketing support. One of the biggest challenges of working by yourself is balancing the workload. She’d like to send out a quarterly newsletter or postcard, but what if she got 30-40 returning clients all at once? She’d be swamped. Plus, updates don’t pay as well as new projects – even if you charge by the hour. So it feels better to just keep focusing on getting new clients. I always create a profile of the “average” resume writer, based on the statistics from the Resume Writers’ Digest annual Industry Survey. This year, instead of including the profile in the issue with the survey findings, I’m creating a multi-part profile of the “average” resume writer and posting it as a series on my blog. She (resume writers as a whole are overwhelmingly female) is in her early-to-mid-50s and is a full-time business owner. She has been writing resumes for 11-12 years and currently works from a home office. She is certified as a resume writer and belongs to the Professional Association of Resume Writers and Career Coaches (PARW/CC). In the past, she also belonged to the Career Management Alliance (the “Alliance”), but her membership lapsed a few months ago and she hasn’t gotten around to renewing. She spends 22 hours a week writing 4-5 new resumes and fulfilling other services for her clients, including updates, some career coaching – most of it for free – and a few resume distribution projects. She spends another 10 hours a week on administrative tasks (billing, recordkeeping, tax compliance), and marketing. Her average resume packages is a resume and cover letter, for which she receives $275 to $325. That likely includes 30-60 minutes of “free” advice for the client on using the resume or providing instruction in the job search process — usually doled out in phone calls and emails after the resume draft has been delivered. Her gross monthly revenue is between $4,000 and $5,000 — netting her around $38,000 after taxes annually. The National Resume Writer's Association has elected its 2008 Board of Directors. The importance of a mentor in starting and growing your business cannot be underestimated. Tonight, I said good-bye to one of mine. My Uncle Arch (Don Begley) died tonight at the age of 75. He was a friend, a client, and a mentor. When my now-husband and I decided to start our business in 1996 (when I was just 22), Uncle Arch was a great source of encouragement and ideas. He also invited me to join his Friday-morning tips group, introducing me to a network of business contacts. Although I eventually had to give the group up (Friday mornings at 7 a.m. were too much for this night owl), will never forget him taking me under his wing. My thoughts are with his wife of fifty years (my Aunt Rosalie) and his five children (David, Steve, Chris, Barb, and Becky) and their families. What is a Structured Interview? Do you offer interview coaching? Are you aware of a new technique in interviewing, the structured interview? Using a structured interview presentation, candidates clearly communicate their understanding of the job, demonstrate both their match with position requirements and their fit with the corporate culture. Hiring managers get consistent in-depth information about candidates that improves the interview process and helps hiring managers make a “best fit” hiring decision. With structured interviews, candidates perform better. The hiring manager’s selection decisions are greatly enhanced resulting in improved retention with lower turnover costs and a more competitive workforce. Kennedy Information is hosting a 60-minute training program on Thursday, Feb. 21, "Increase 'Best Fit' Hiring Decisions with Structured Interview Techniques" presented by Eric Kramer, CIO of Innovative Career Services. The three most important interview questions that must be answered to make a “best fit” hiring decision. The eight critical elements of a well structured interview presentation. An interview presentation process that candidates and hiring managers can learn quickly and use easily. Candidates’ and hiring managers’ real life experiences using an interview presentation tool, and more. Eric Kramer’s experience includes working as a Career Consultant and Career Center Manager with one of the country’s largest outplacement firms. As a Senior Consultant, Eric worked with hundreds of job searchers individually and in groups teaching them job search skills and coaching them through their interviews. Eric has authored two books, What to Think What to Do- 100+ Hints for Successful Interviewing and What to Think What to Do- 100+ Hints for Successful Networking. Eric also serves on the Editorial Advisory Board for Recruiting Trends, a Kennedy Information publication. The cost is $149, and you can pre-register and receive a recording of the teleseminar, even if you're unable to attend. Kathy Sweeney, NCRW, CPRW, CEIC, CCM has built her company, The Write Resume into a well-recognized brand -- and now she wants to share her expertise with other resume writers. Of course, Kathy has been sharing her secrets for attracting media attention and cultivating lasting client relationships for years. Her presentation on "Enhance Your Business Visibility and Increase Your Revenue" in Scottsdale in September 2006 at the NRWA Career Conference yielded tons of ideas for me. During her time as NRWA President, she mentored countless new and "emerging" resume writers. Now she's offering her services to the industry. "The more you put yourself out there, the more your name will become known." One of the most exciting services offered by Resume Writers Resource (from my perspective) is the Press Release Writing Service. Even if you don't want to become a household name or have your company featured on the AOL home page, you will be amazed at the amount of business a single article written about your resume writing services can offer. For about the price of 1-2 resume projects, you can attract a dozen new clients ... ones who aren't just looking for the lowest-priced provider, either. 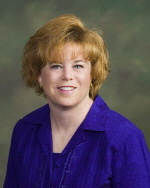 Kathy is also bringing affordable teleseminars and webinars to the industry. Her first offering, "The Nuts and Bolts of Implementing Interview Coaching Into a Resume Writing Business" will be offered tomorrow, Thursday 2/14/08 at 3 p.m. Eastern. The cost is just $25. Kathy's experience will be a valuable "resource" for the careers industry, so be sure to sign up for her e-mail list to be notified of upcoming events. Now let's hope he KEEPS that job for a very long time...like until he's ready to retire. I can dream, right? I ran across this search firm that specializes in Search Marketing Jobs (SEM, SEO, Social Media, Web Developers). Onward Search specializes in contract positions with benefits. They are also looking for bloggers and copywriters (for those resume writers who provide business-to-business services). Survey Shows Tuesdays are "Most Productive"
Want to get something done? Wait until Tuesday. According to an Accountemps survey, more than half (57 percent) of executives polled said employees are generally most productive on Tuesday, up 9 points from a similar survey conducted five years ago. Monday was the second most popular answer, although only 12 percent ranked it as their top day in terms of productivity. The national poll included responses from 150 senior executives from the nation's 1,000 largest companies. "In addition to serving as a 'catch-up' day after the weekend, Monday is when many regularly scheduled meetings occur, which can decrease the time available to complete tasks," said Max Messmer, chairman of Accountemps and author of Managing Your Career for Dummies. "Many view Tuesday as an opportunity to focus their efforts and establish momentum for the rest of the week." If you're wondering where the January/February issue of Resume Writers' Digest is... you're not the only one! Due to a number of factors (including the death of my beloved uncle)...it's still a work in progress. My goal is to get it sent out at the end of the week. If you have a submission, please send it to me ASAP! My e-mail is RWDigest(at)aol.com. And for those of you who have been e-mailing to ask about joining the mentoring group, I'm working on adding you to the YahooGroup! I keep seeing articles about this show, Dirty Jobs. So I finally set my TIVO last week to record a few episodes off the Discovery Channel. But I haven't had a chance to watch it yet. The premise is an interesting one -- the host, Mike Rowe, does a lot of jobs that most of us wouldn't want to. But the fact of the matter remains ... someone has got to do these jobs. That's something to remember when we're working with clients who only want "glamorous" jobs (I want to work in pharmaceutical sales, I want to work in fashion, etc.). There are lots of opportunities out there for those seeking much less glamorous jobs. Be sure to read Rowe's "Seven Dirty Habits of Highly Effluent People" and the accompanying article about the host and the show that appeared in Fast Company. The National Resume Writer's Association experimented with changing to a secure bulletin board format for facilitating member-to-member communication, but announced a change to a traditional E-List format (hosted by YahooGroups) last week. Although bulletin boards can be a very effective way to encourage interaction, they require that a member seek out the forum ... while e-mail lists deliver the messages to your e-mailbox immediately. The Professional Association of Resume Writers and Career Coaches, Career Directors International, and the Career Management Alliance all use e-lists for member-t0-member communication. Here's the fourth installment in our series. For part 3, click here. 16. Talk to real estate agents. Agents are often the first to greet someone new to town -- and they are delighted to recommend a qualified resume writer to help a "trailing spouse" find a job. 17. Send a letter to your friends and family members. Put your word-of-mouth marketing network of relatives to work for you. A supply of brochures and business cards may be all you need if you send a stack to chatty Aunt Cathy. 18. Celebrate the holidays. In addition to Christmas/New Years, consider recognizing other "traditional" holidays -- such as Valentine's Day, St. Patrick's Day, and Halloween. Or, celebrate an offbeat holiday, such as Groundhog Day, or Earth Day. 19. Make contacts for outplaced employees. When you read about a local firm that will be laying off employees, call the company. You might be able to line up a seminar on job skills -- or a company-paid subsidy for resume writing. At worst, ask if you can send along brochures and business cards. 20. Target specific markets and contact them directly. For example, if you have a background in nursing, your specialized knowledge of medical terminology and nursing functions makes you a great choice as a resume writer if I am a nurse. For professions that are licensed -- like nursing -- you can often rent a list from the state. Or, write an article or place an ad in industry newsletters or trade journals.